Original Blues-Story with Real People. If you’d like to feature in our Real Life Story section, please contact us. In these photographs, one of our mail order customers, Ian, is wearing our Original Blues Submariner sweater in Natural, which he ordered specially to wear at the Lytham Rose Queen Parade. 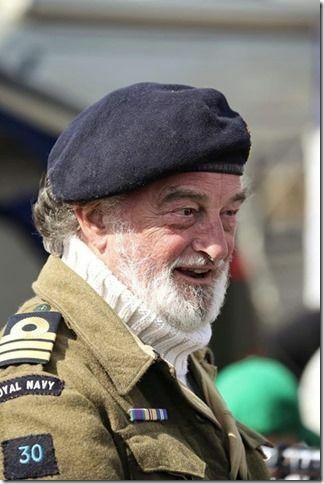 Ian represents a Royal Navy Commander in the 30 Assault Unit. We think they both play their role perfectly! In 1942 Ian Fleming, author of the James Bond novels, came up with the idea for a special unit of commandos, which he also led – a clandestine on-shore unit. 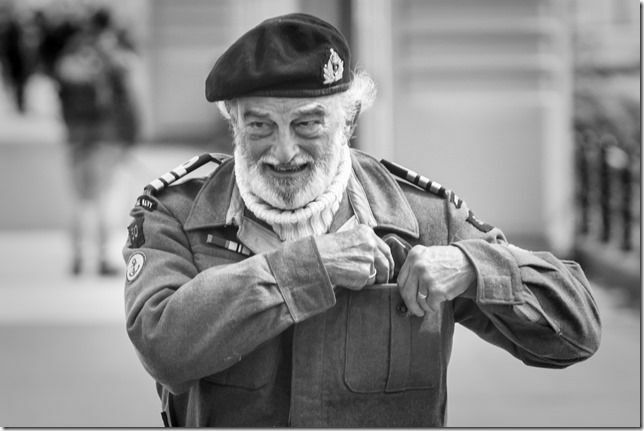 They were known as the 30 Assault Unit and their objective was to steal German naval intelligence. Fleming was then a commander in Royal Navy Intelligence at Whitehall. He had previously served as personal assistant to the director of the Naval Intelligence Department. Fleming’s 30 Assault Unit did achieve some remarkable intelligence coups. During the Torch landings in North Africa, an intact Enigma machine and two tons of other valuable documents were recovered. After the D-Day landings, more useful intelligence was collected. One of its greatest successes was during the invasion of Germany; At Schloss Tambach in Thuringia, it captured the ‘complete operational logs, war diaries, technical reports and administrative minutes of all Germany navy business’ since the Franco-Prussian War. Shortly after this massive haul, at Kiel, in northern Germany, a second team captured Dr Hellmuth Walter, the scientist responsible for using hydrogen peroxide as a propellant for jet engines and high-speed submarines. Fleming’s personal wartime experience formed much of the inspiration behind his world-famous character, James Bond. Original Blues’ Submariner was inspired by the traditional sweater that was issued by the Admiralty to the Royal Navy in both world wars, which is often seen in naval films. Our version features the same enduring ruggedness, durability and classic design, but is made from the denim cotton yarn. Perfect for today’s sailors, or equally at home on land, Submariner will keep you warm and comfortable all year long. Team with jeans or chinos, or grab your Submariner to wear with shorts on those cooler summer evenings. Available in either Natural or Navy, Submariner is a men’s cotton polo neck sweater with ribbed collar, cuffs and hem, a stocking stitch body and set-in sleeves. Submariner is a perfect example of simple design executed beautifully. So easy to care for, Submariner can be machine washed at 40° and tumble dried, and will continue to look fresh and feel soft, due to the top quality yarns and careful construction. For extra strength, the neck and shoulder seams are interlinked. Our sizing guide should provide you with a relaxed fit. 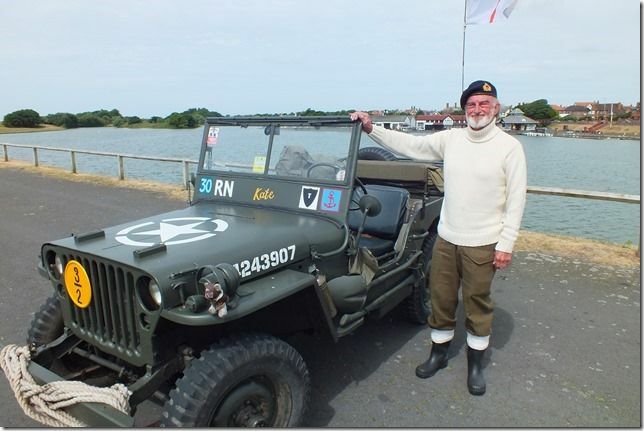 For Jeep fans, this is an exact copy of one Ian found in a photograph of the 30 AU. It dates to 1943 and was bought in the French Alps; in December 2007 Ian drove it some 1,100 miles in 4 days, via Dunkirk to Lytham St. Anne’s.